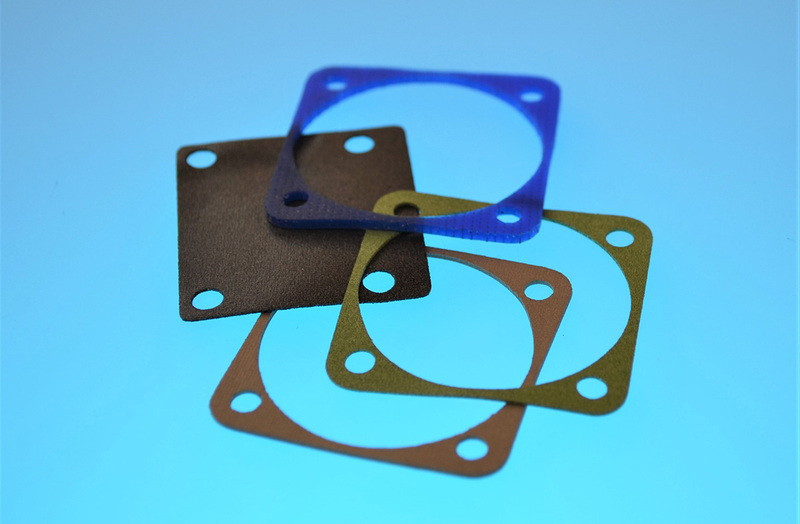 Our connector gaskets are die-cut gaskets for EMI shielding and for grounding of a wide range of connectors. Connector gaskets are generally cut from thin reinforced materials, such as conductive filled aluminium mesh or silicone filled expanded Monel foil though for some particular applications, oriented wires in silicone or conductive silicone EMI shielding materials are used for their specific properties. Either 1 mm, 1.5 mm, 2 mm thick, and can be provided with self-adhesive backing. Popular materials are Neoprene connector gaskets and silicone connector gaskets.